A few of my close buddies leaning over the ship rail. I flew back thirteen months later, but some of these guys did not. 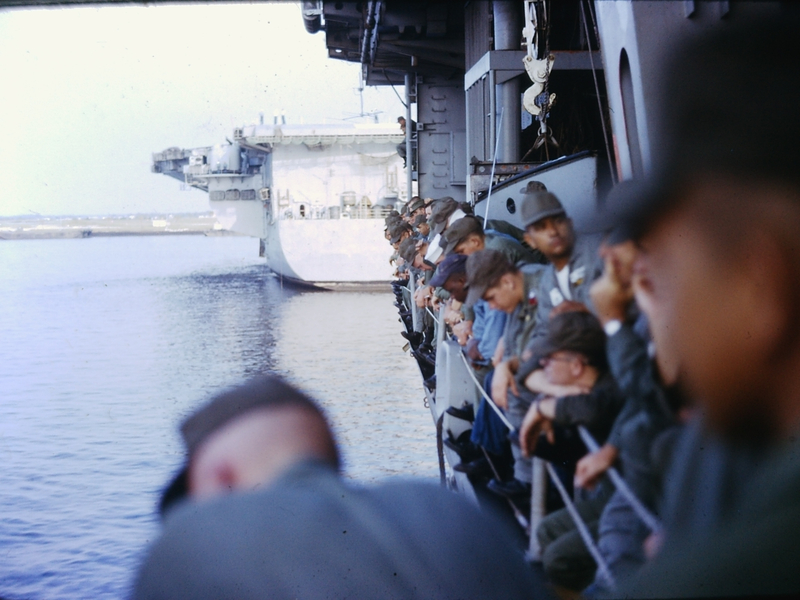 Fifty years ago today, I shipped from Jacksonville aboard the USS Boxer with others from the 1st Air Cavalry Division, bound for Vietnam via the Suez Canal. We were the first full division sent to the war. Please hold off on what has become the obligatory “thank you for your service” comment. As I look back on this anniversary with mixed feelings, I would like you to thank me another way. As with many of our wars before and since, we fought in Vietnam for the wrong reasons and wasted lives, treasure and some of our claim to honor as a country. We were lied to. We were misled. If we learned something from that waste, I’d be prouder to have served. As it is, we repeated and magnified our mistakes and we now find ourselves in an endless war of attrition, again because of the lies of our leaders. So, yes, you can thank us for our service, but not with a few perfunctory words. Do it by holding our leaders more accountable. Make them prove the effort is worth the sacrifice. And demand to throw them in jail when you find out they lied again. Don’t just “support the troops.” DEFEND the troops! Anyway, the photo is one I took the day we sailed. It shows a few of my close buddies leaning over the ship rail. I flew back thirteen months later, but some of these guys did not. Not many smiles then or now, I’m afraid.